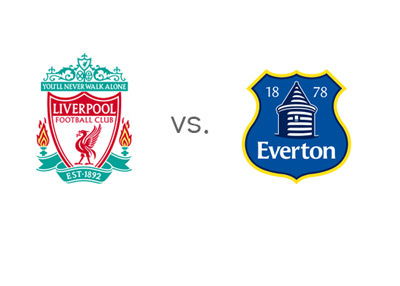 Fourth place Liverpool will host sixth place Everton in the twenty third round of the Barclay's Premier League on Tuesday, January 28th, 2014. Both teams are legitimate contenders for Champions League football next season, which makes this derby that much more interesting. Liverpool are eight points behind first place Arsenal, six points behind third place Chelsea, even on points with fifth place Tottenham and only one ahead of sixth place Everton. It looks like it will be a fierce battle for the number four spot, which leads to the UEFA Champions League play-off next season. After beating Stoke City 3-5 and drawing with Aston Villa 2-2, Liverpool most recently beat Bournemouth 2-0 in the FA Cup. Both Luis Suarez and Daniel Sturridge, who have 33 goals between them in the league so far, are healthy and in form. Everton are enjoying a great season. Most recently, they won vs. Stevanage 4-0 in the FA Cup, after beating Norwich 2-0 and drawing with West Brom 1-1 in the league. Romelu Lukaku is the team's leading scorer with 9 league goals so far. Bryan Oviedo, the team's left-back, faces a long period on the sidelines after suffering a leg fracture in the FA Cup match on the weekend. The Reds are the favourite to win. A 100 € bet on Liverpool could return 75 € in profit. The same bet on Everton could return 333 € in profit. The most likely score, according to the odds, is a 1-1 draw, offered at 7/1. The Merseyside Derby is usually an entertaining event. Historically, it is a game with most red cards, compared to all other Barclay's Premier League matchups. Earlier in the season, at Goodison Park, the two teams played to a 3-3 draw. Liverpool have a few injuries at the moment. Two of the missing players are the Brazilian international, Lucas Leiva and the England international Glen Johnson. Everton coach, Roberto Martinez, is hopeful that his team can get their first win at Anfield since 1999. It should be a good game on Tuesday night! The kick-off is at 8pm local time.